Rothschild coats from $40 and up! 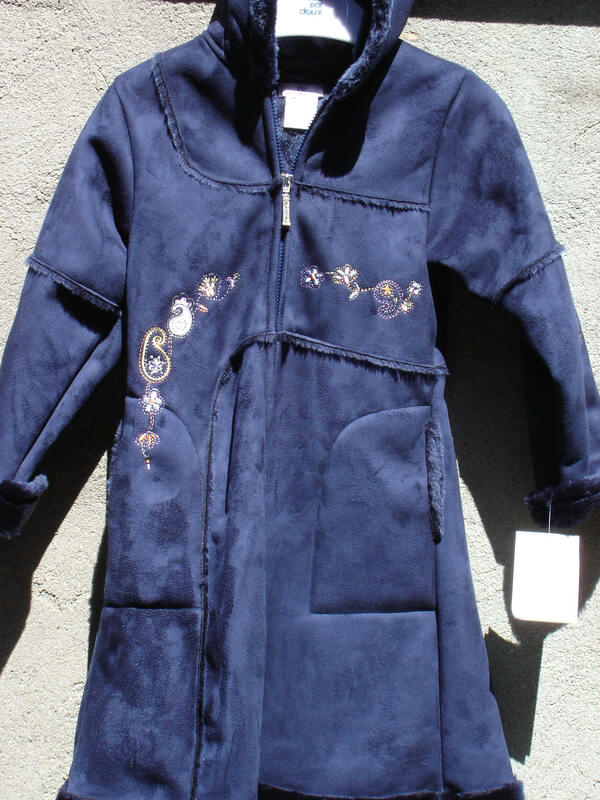 These represent a selection of Girls suede look winter coats by Rothschild and Deux par Deux. This is a way to add a bit of style to the winter coat your girl wears on a cold dreary day. 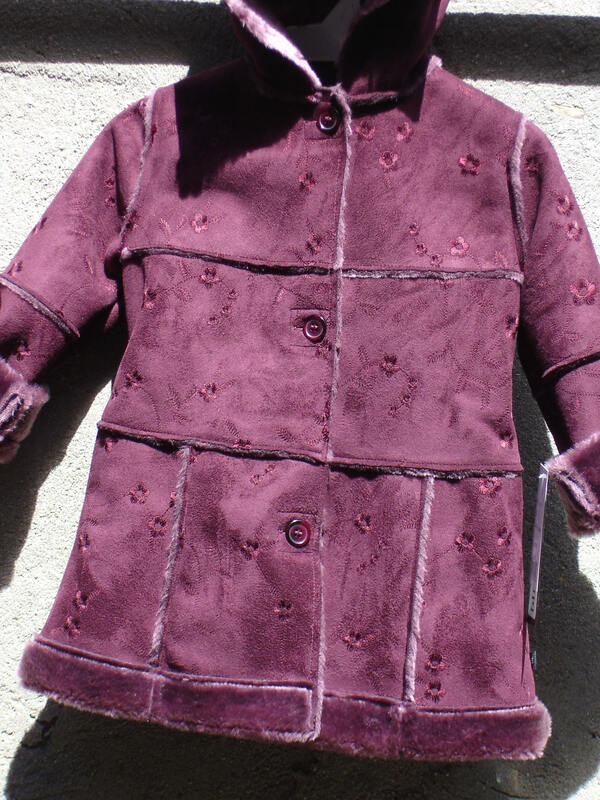 These coats are unique and sold by telephone order only, many styles and sizes are sold out; please phone 718-782-0108 or 866-782-0108 to order and remember to ask for same day shipping! 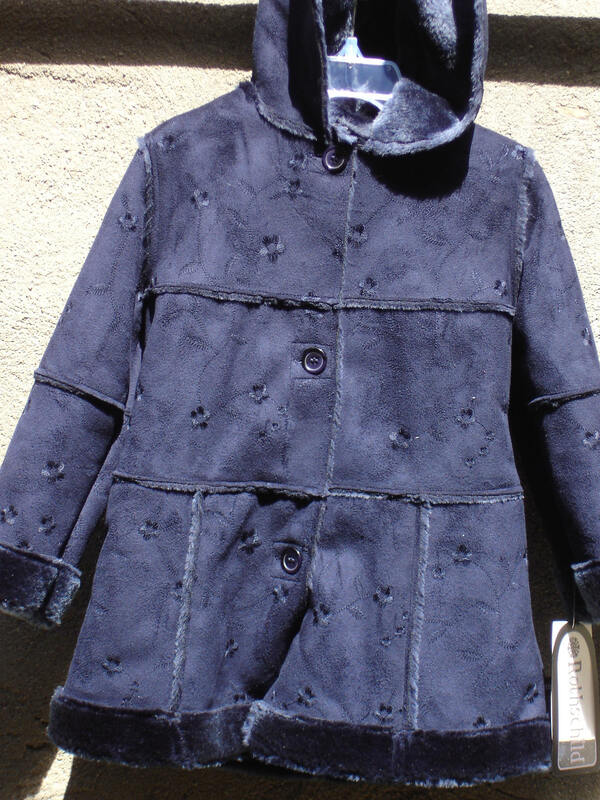 Our wool coats are seen by following the link at the top of this page. 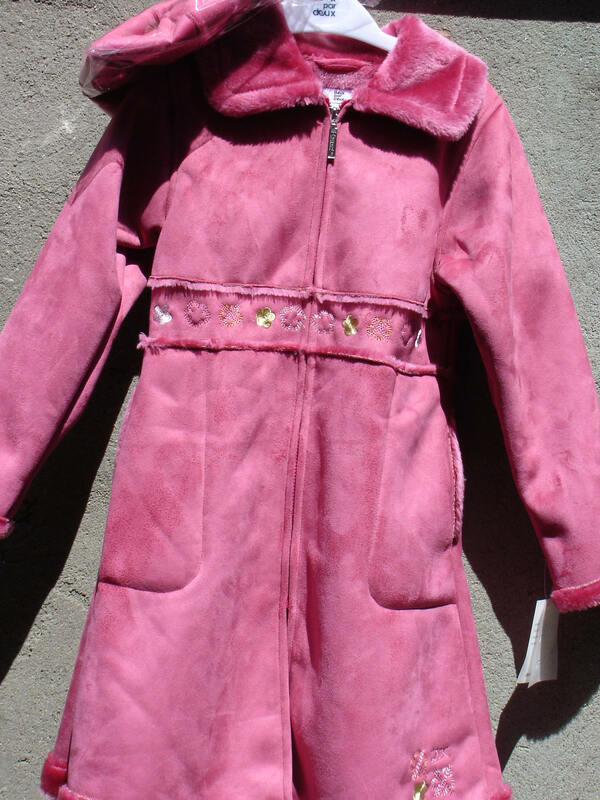 This pink coat by Deux par Deux includes a matching hat and is sale priced at only $50 in sizes 2 thru 6. 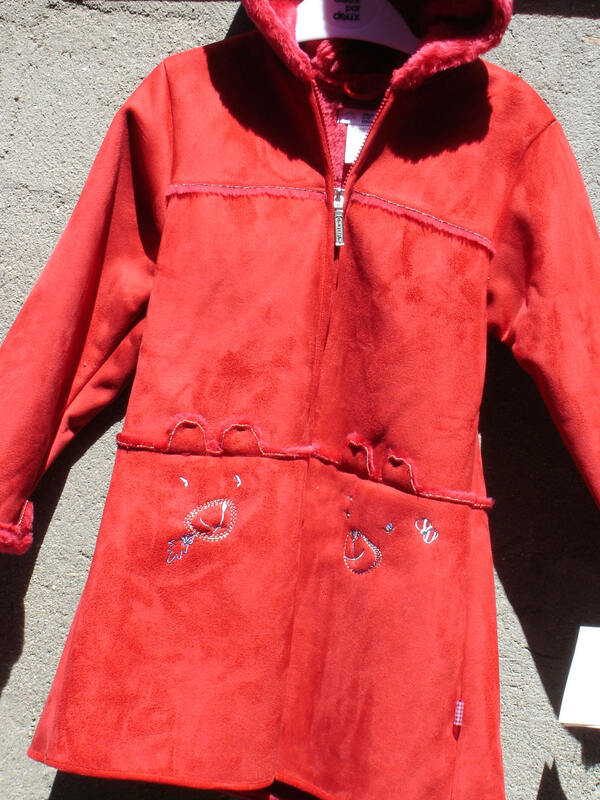 These are girl's suede coats with hoods, in your choice of blue or red. Sale Priced at $50 for all sizes left in stock. 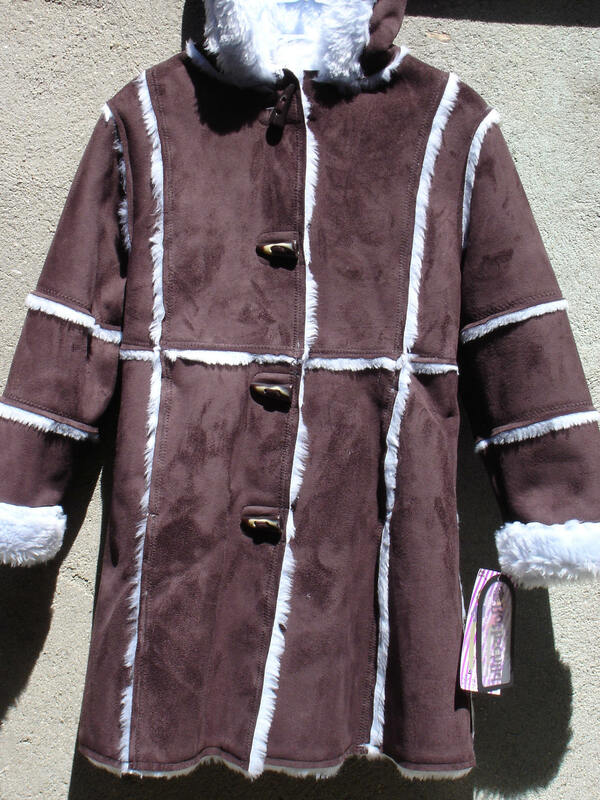 This brown girls coat by Rothschild has light blue trim, also available in brown with pink and has a hood. This coat is sale priced at $40 in sizes 4 thru 6x and $45 up to size 14. Stock is limited and you must ask for the Internet price. 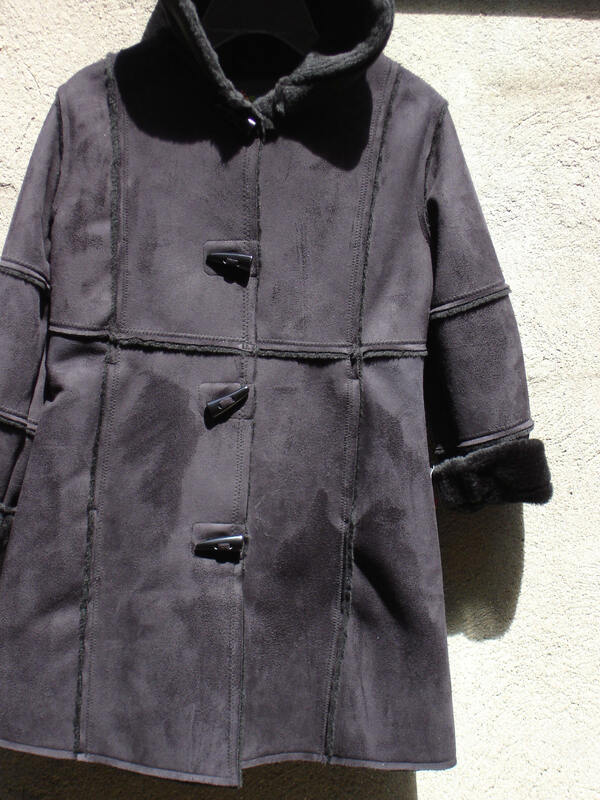 This black suede coat is by Rothschild and is sale priced at $50. These coats are embossed with a pattern, please be sure to enlarge the photo. Sale Priced at $45 to $50.